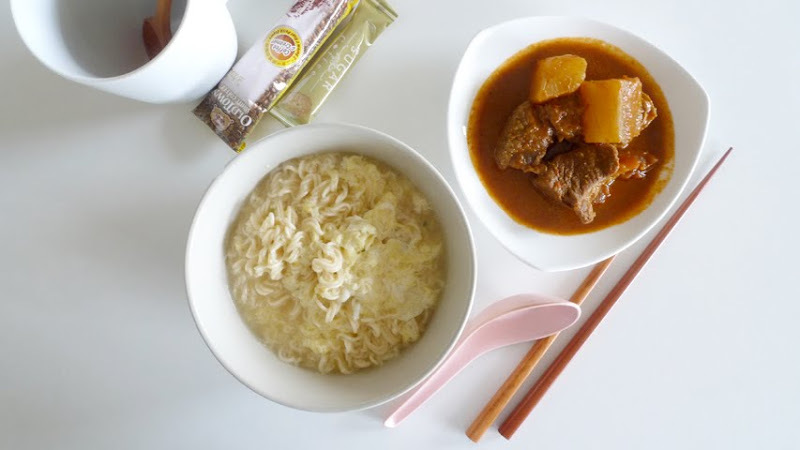 Instant noodle with egg, mutton and raddish curry. And 2-in-1 coffee after the food. Taken at 2.30pm. Is this lunch? Afternoon break? Chinese? Indian? Fusion?